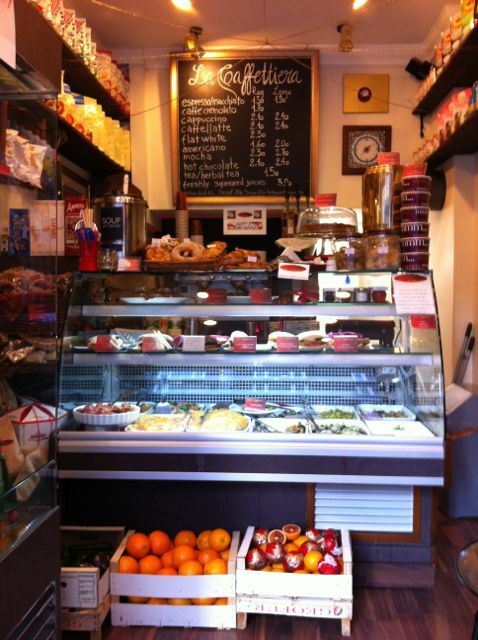 La Caffetiera on Kensington Church Street is as Italian as Kensington gets. All the froth and crema you could want from a coffee, all the focaccia and antipasti you could possibly dream up. 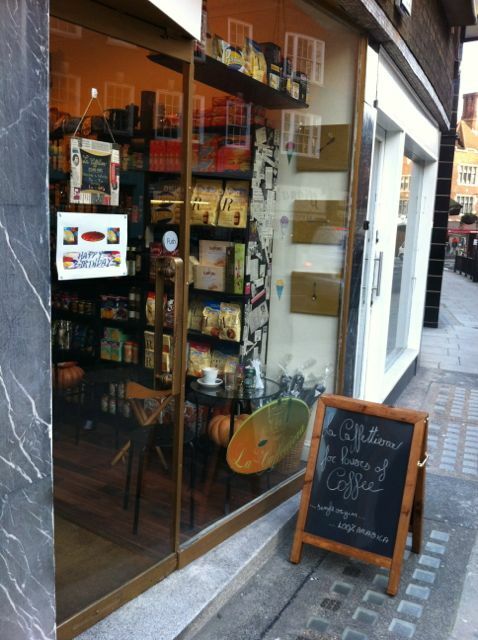 I love this little place – it’s just as wide as the glass vitrine that lives at the back of the shop. There are two tiny tables with little stools in the window for some passer-by-spotting. As much as I love the Starbucks around the corner, its free Wifi and my soyamoccafuckachino in a red cup with my name on it (seriously, my name?! ), I am also a fan of keeping it small and local. And for having a real coffee once in a while. So my kind of place. Bellisima! My children would trash the place! 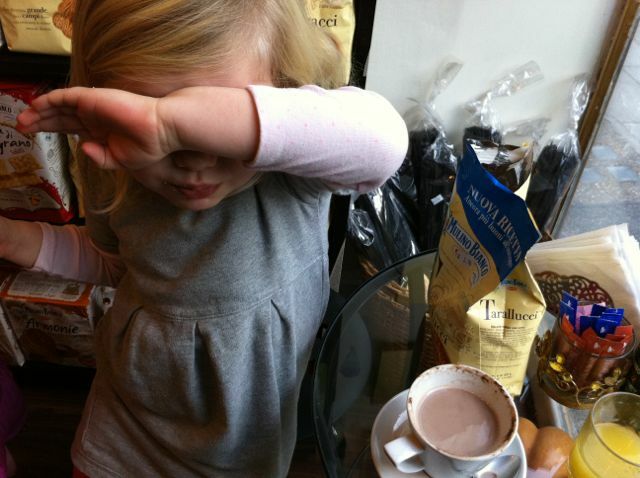 La Caffettiera looks like a lovely place for a morning sans toddler! keep it local, nice one. ooh yummy I love all things italian especially Panettone! We have a little Italian cafe near me and I am often forced to go in and eat ice cream whilst my son does his ballet class. Lovely. I am all about supporting the non-chain restaurants and cafe’s. If I am ever back in the neighborhood, I will look this place up! Love your blog…as a guilty pleasure (espresso bloke here) but I stumbled across La Caffettiera just before Christmas and was immediately transported to one of the bustling coffee houses you’d expect in Rome or Florence! My second guilty pleasure is their croissants with Sicilian pistachio cream! !